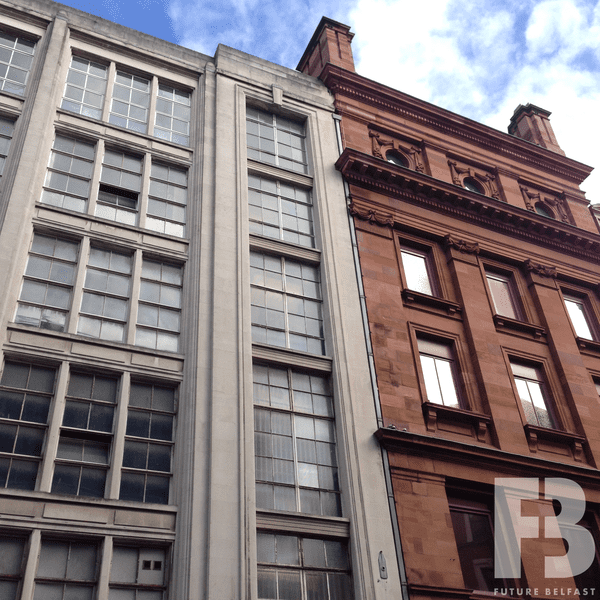 The Bank Buildings was designed by William H. Lynn for Robertson, Ledlie, Ferguson & Co. Ltd., textile merchants. 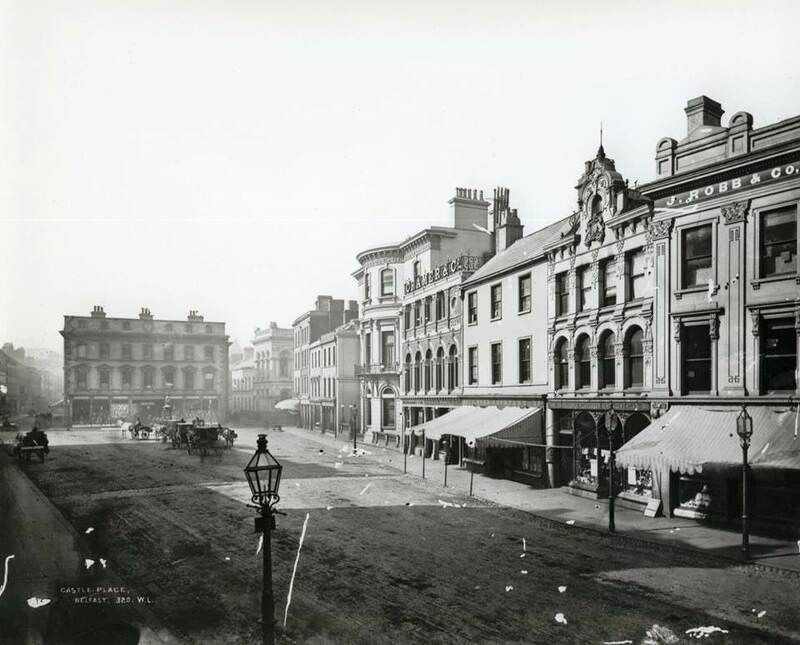 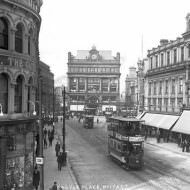 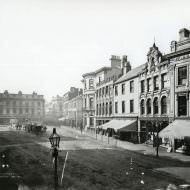 The Castle Street section was built 1885 – 1891 and the main Castle Place section was built by James Henry & Sons between 1899 – 1900. 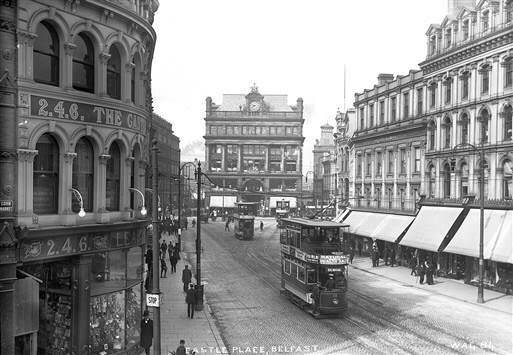 The feature clock on the Castle Place elevation was installed in 1900 by Belfast-based clockmaker Sharman D. Neill. 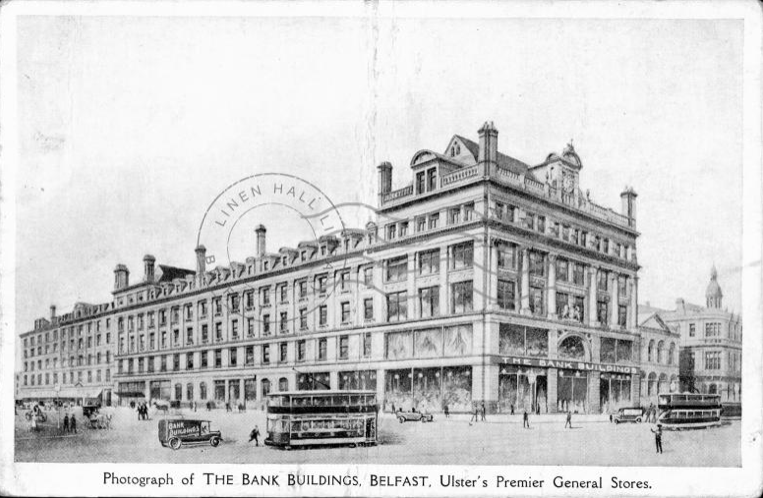 The Bank Buildings is the third building to occupy the site. 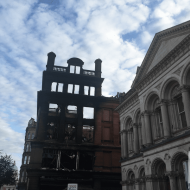 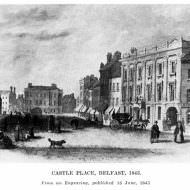 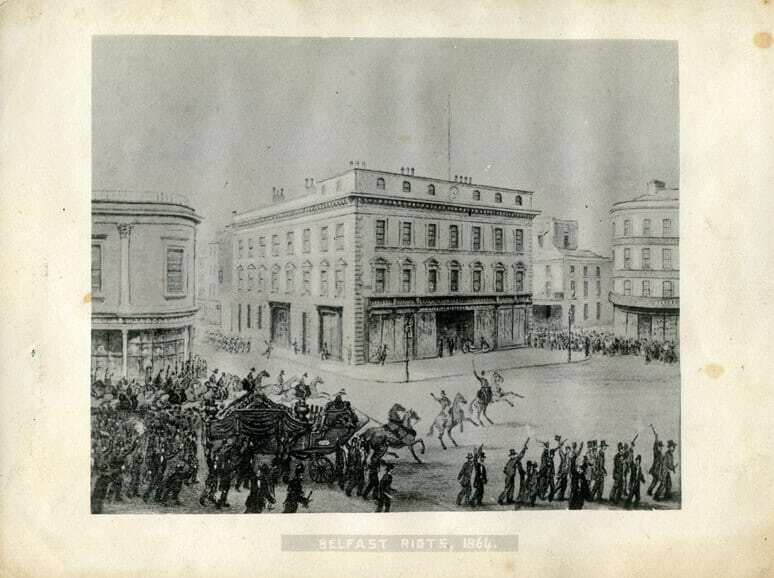 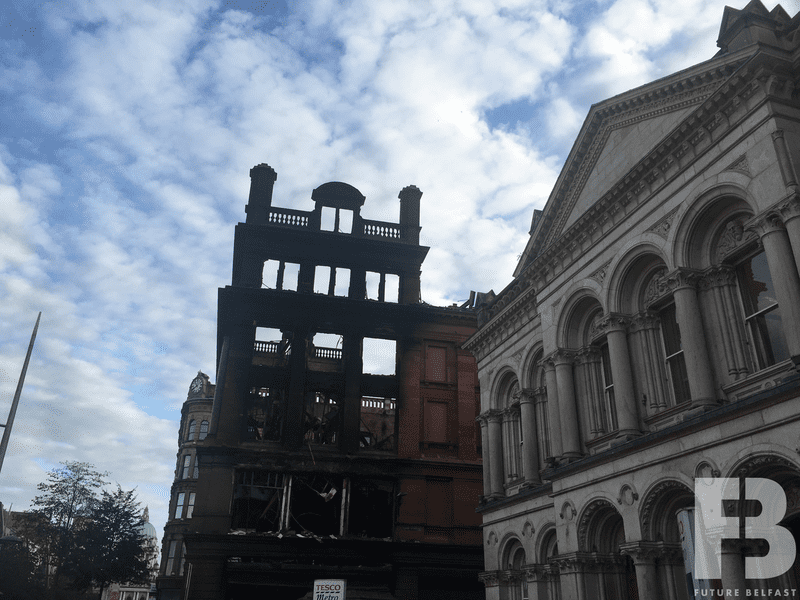 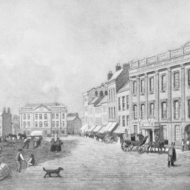 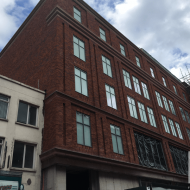 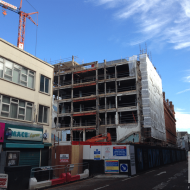 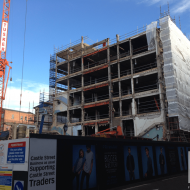 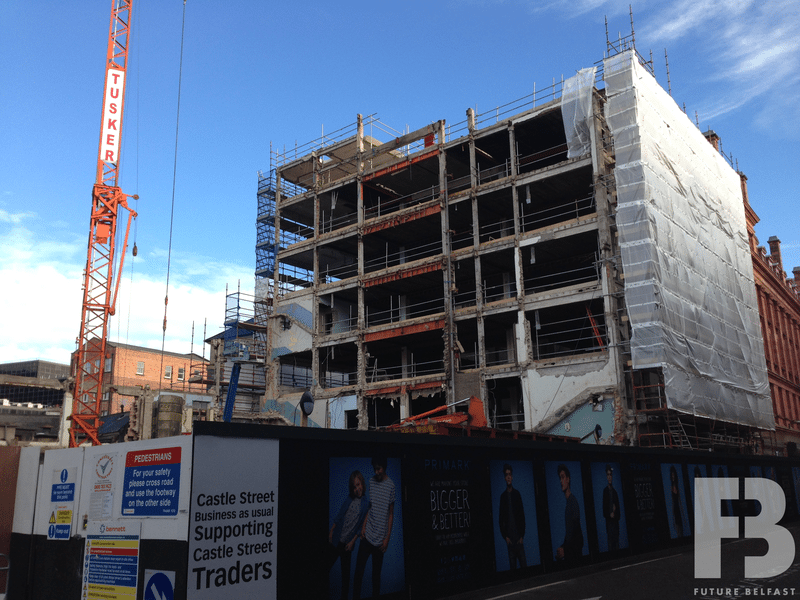 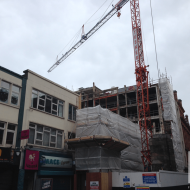 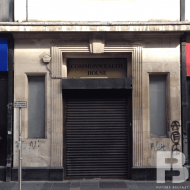 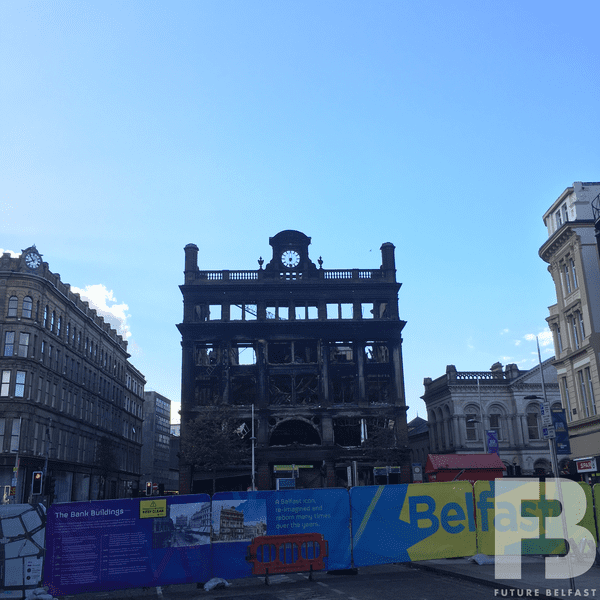 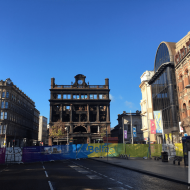 The first was a three storey building built 1787 known as Cunningham’s Bank (named after Mr Waddell Cunningham; founding president of Belfast Chamber of Commerce, first president of the Harbour Board and one Belfast Charitable Society’s founding members. 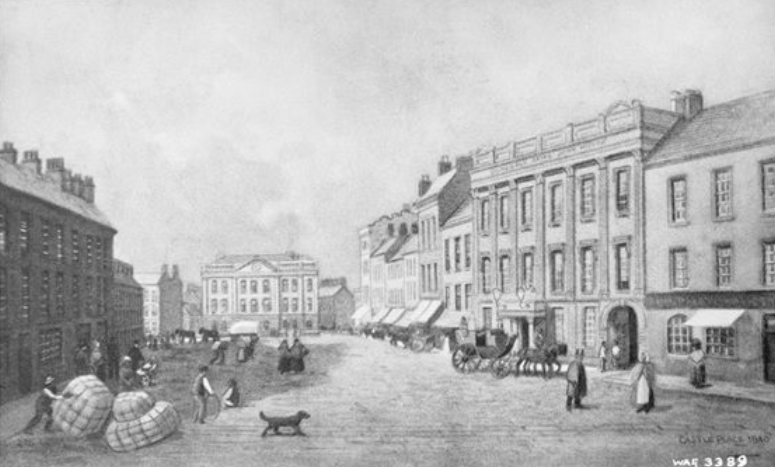 The bank closed in 1798 and the building was converted to residential use. 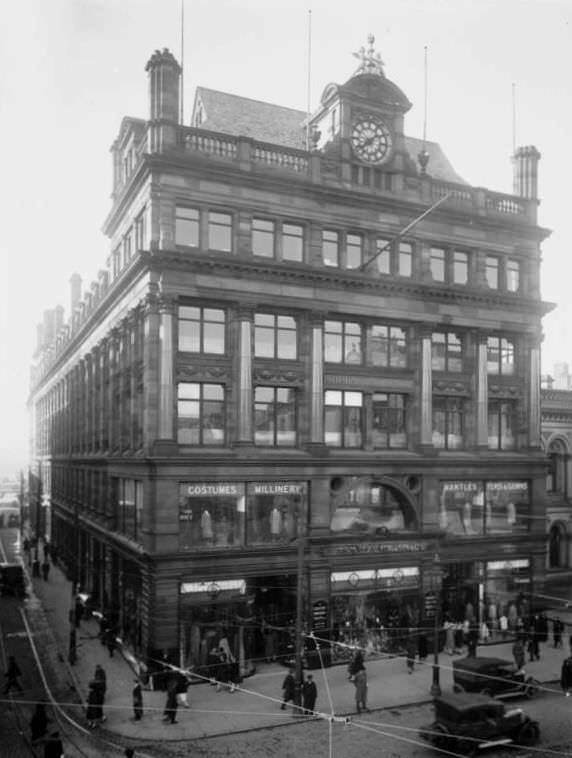 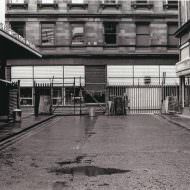 The building was replaced in 1855 by a four storey building for Hawkins, Robertson & Co., textile merchants (later became Robertson, Ledlie, Ferguson & Co. Ltd). 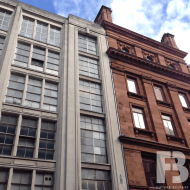 The building was altered by Hobart & Heron architects during 1938 and between 1951 – 1952 Hobart & Heron oversaw the construction of a six storey building known as Commonwealth House at 29-43 Castle Street; adjacent the Bank Buildings (later demolished 2016/17). 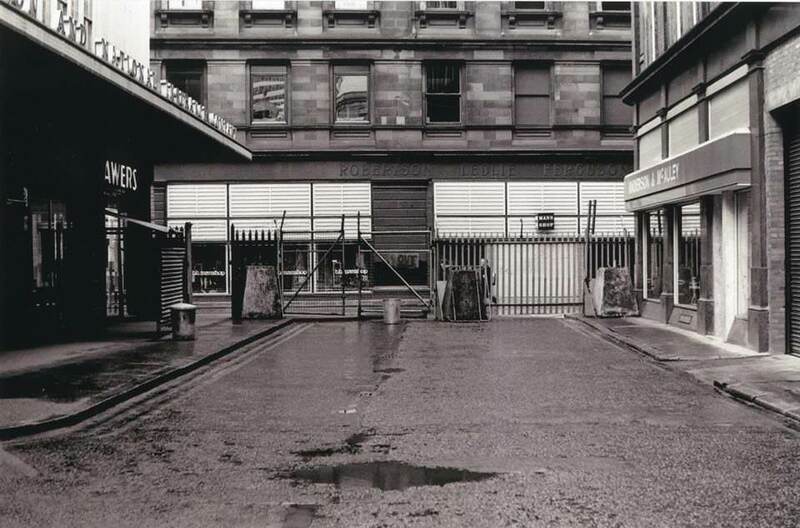 During the 1960s further alterations were made to the shop frontage and a customer lift was installed. 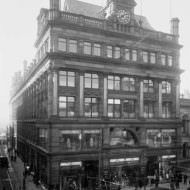 Robert, Ledlie, Ferguson & Co. Ltd was acquired by House of Fraser in 1969 however the business continued to trade until permanently closing in 1973 when the building was acquired by Boots. 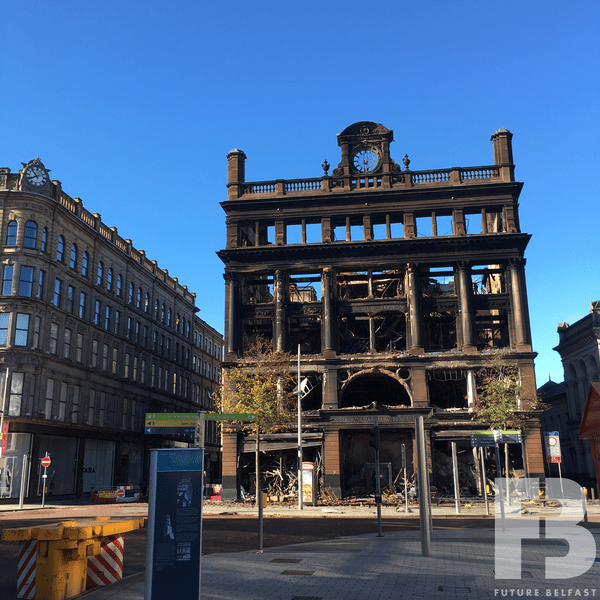 The Bank Buildings was substantially damaged during 1975 as a result of three bomb explosions and subsequent fire within the building. 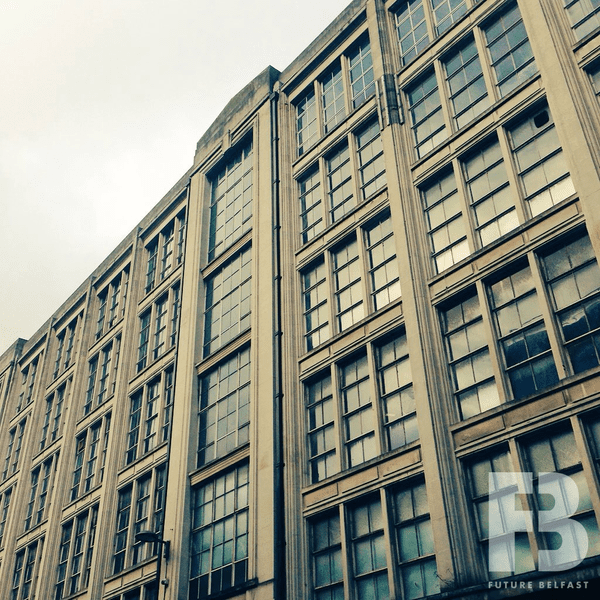 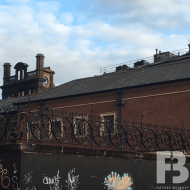 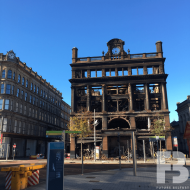 The building remained vacant until until 1979 when Primark acquired the property. 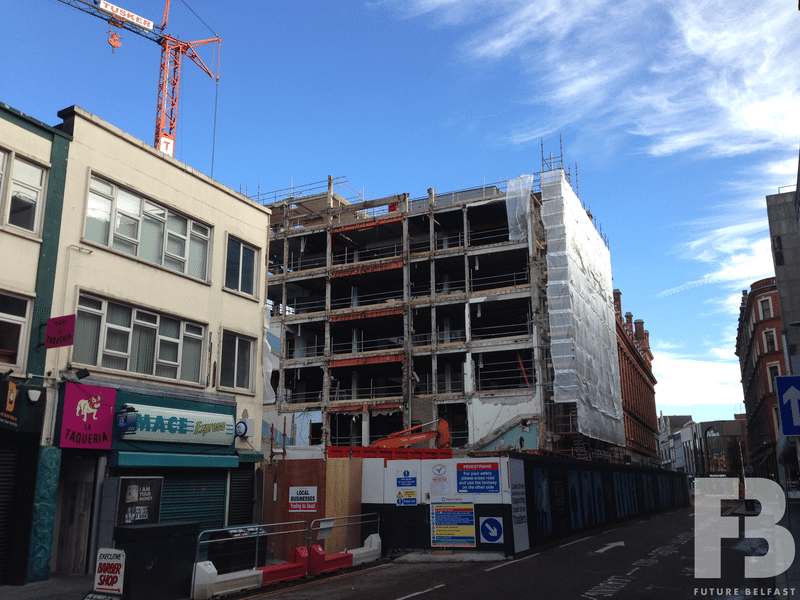 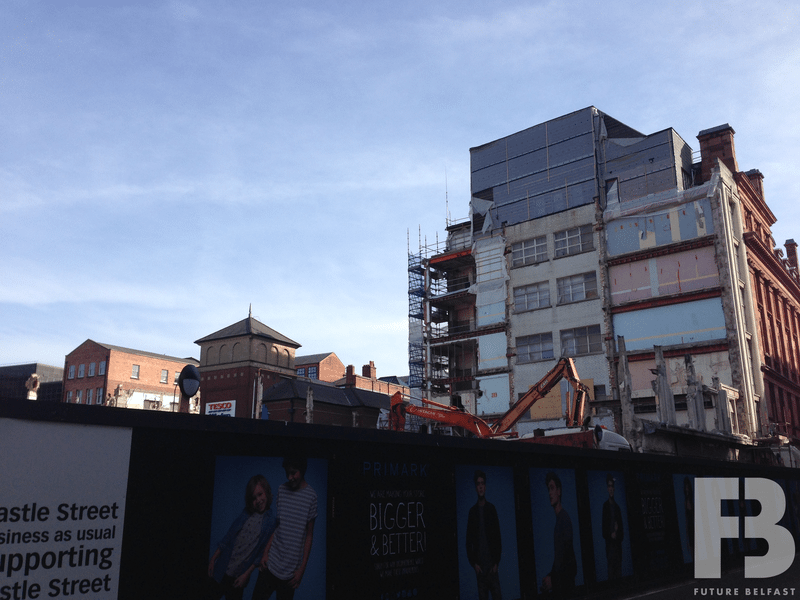 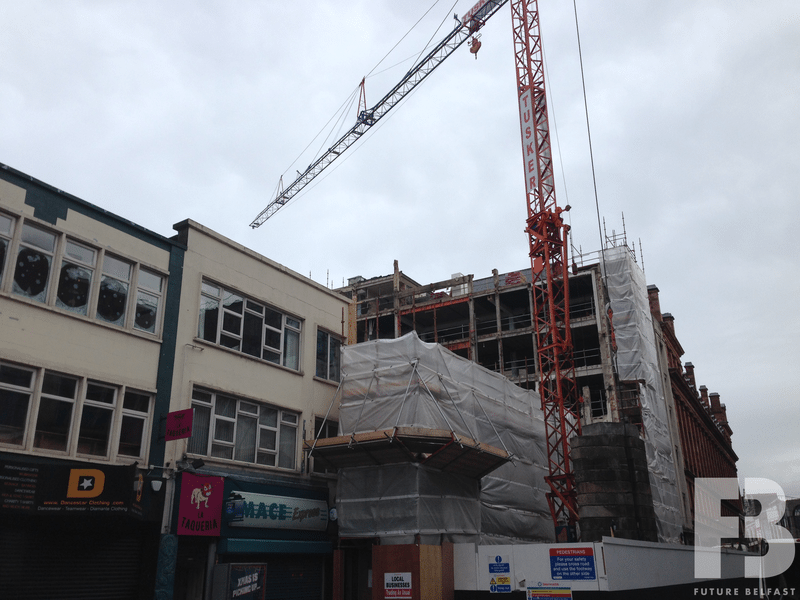 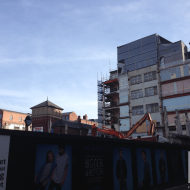 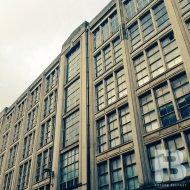 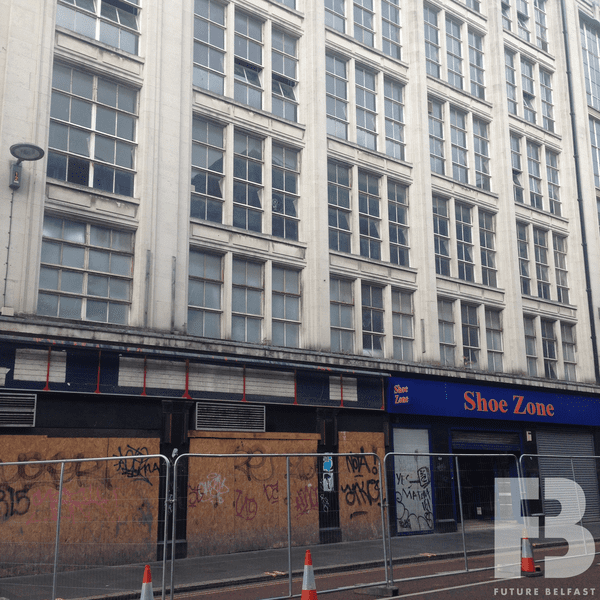 Primark submitted a planning application (Z/1979/1817) to reconstruct and refurbish the building for retail use. 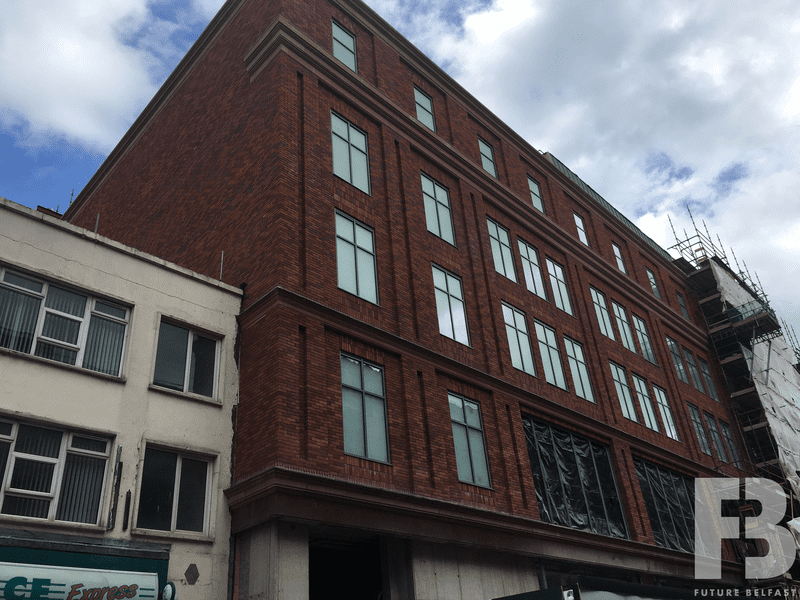 The application was approved in April 1980 and in the same years works were completed and the building was B1 listed (HB26/50/153). 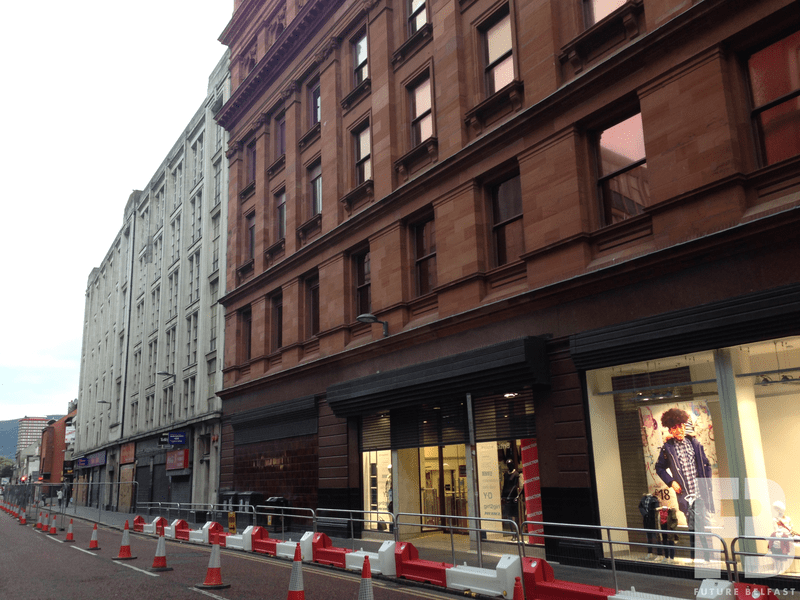 The Primark store underwent a c.£10m refurbishment during 2005 (including work to relocate stock areas to create a new retail floor). 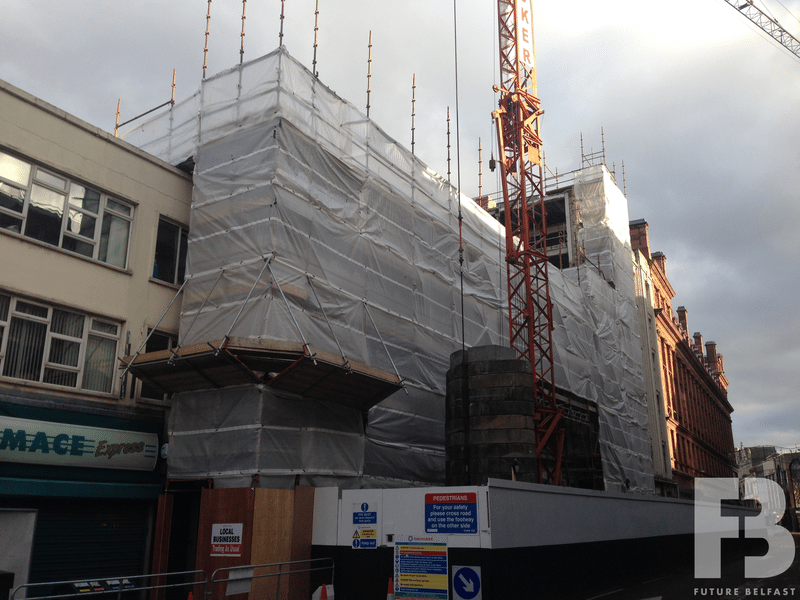 The works were overseen by 3D Architects and carried out by McLaughlin & Harvey. 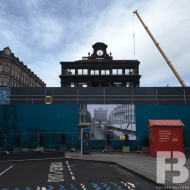 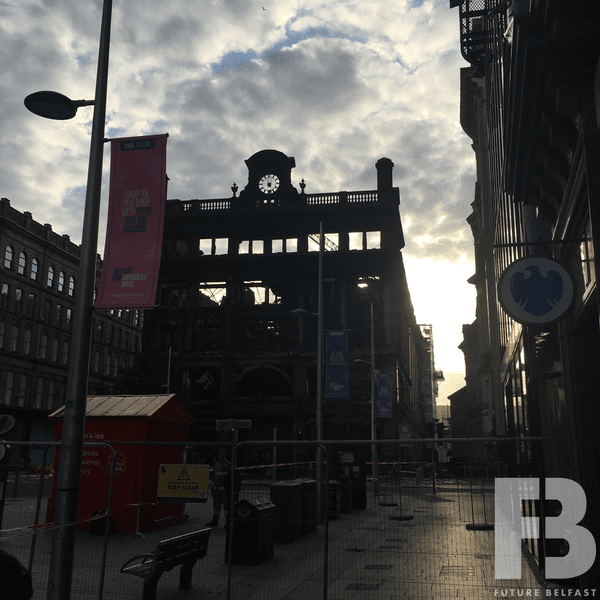 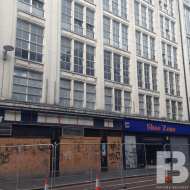 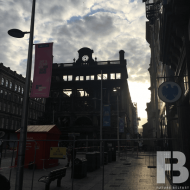 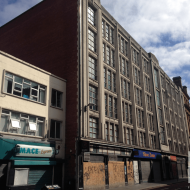 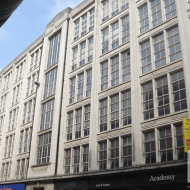 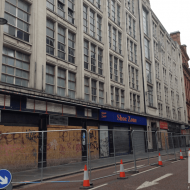 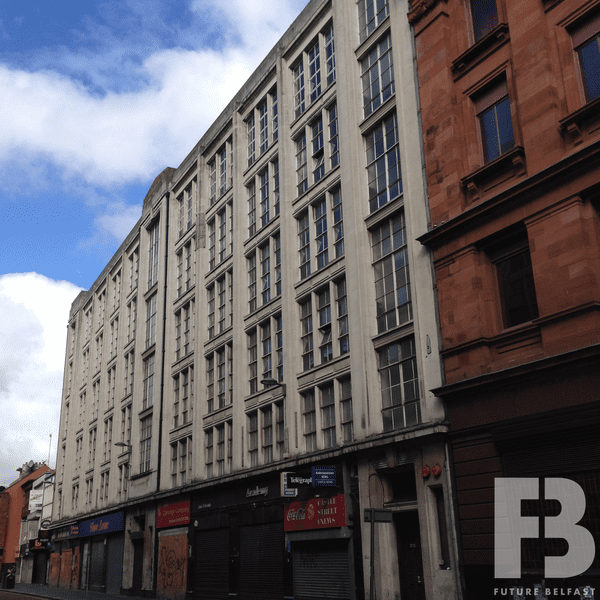 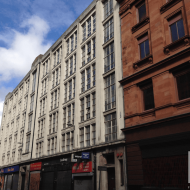 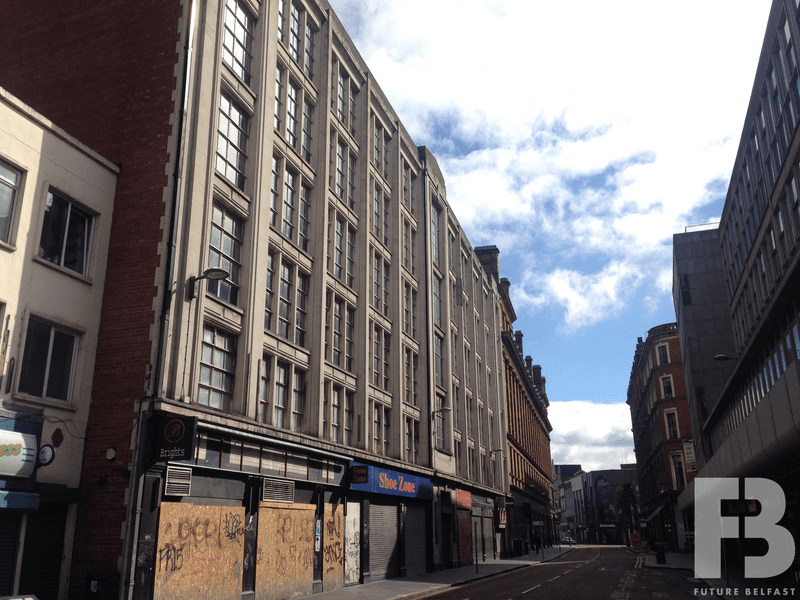 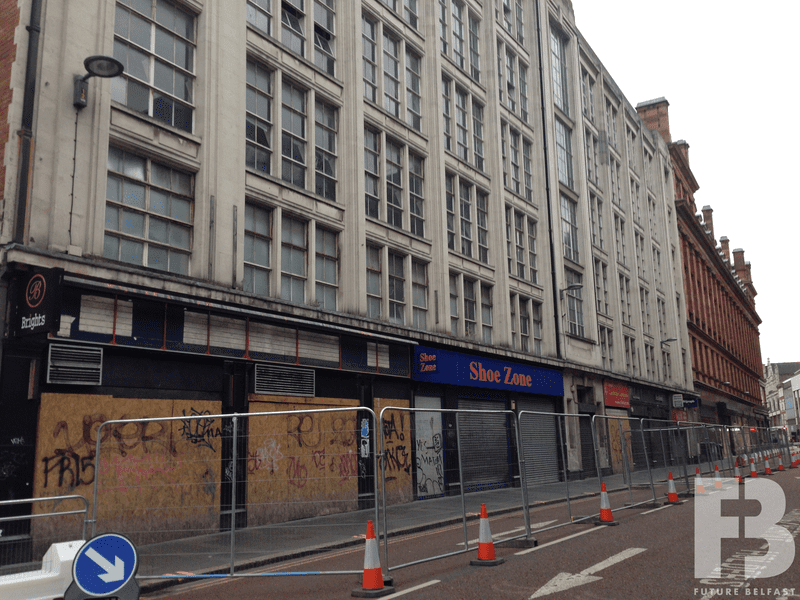 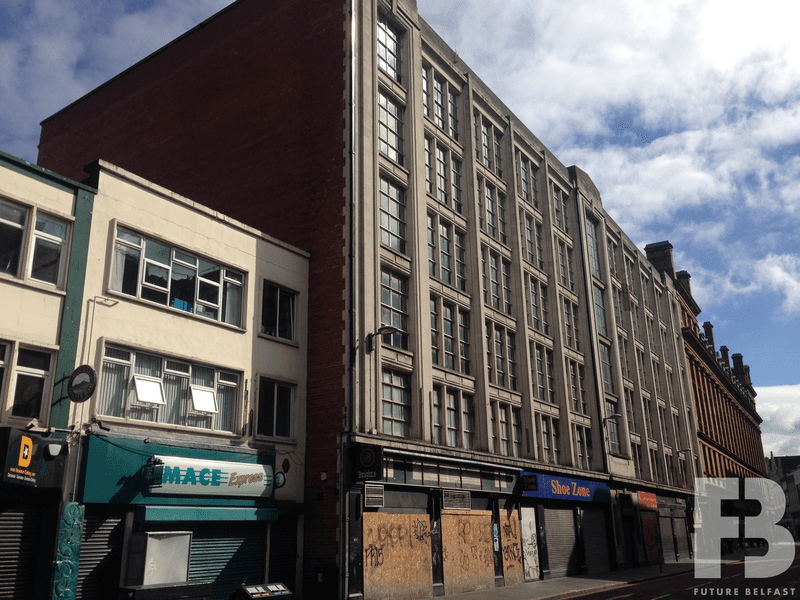 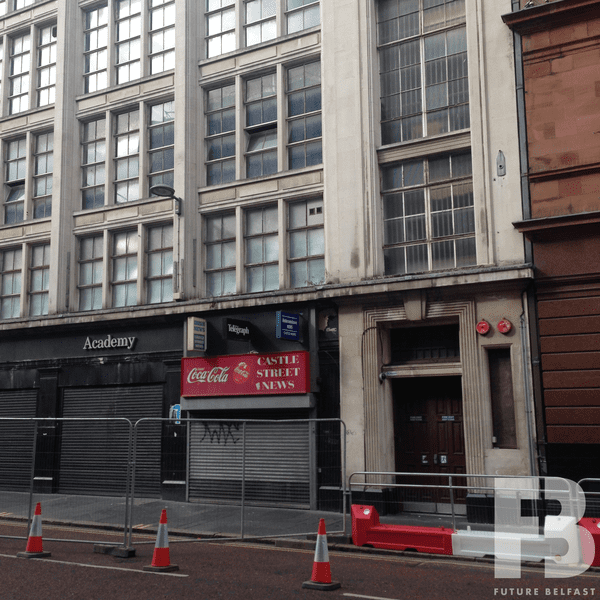 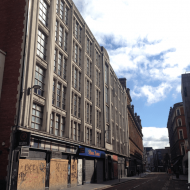 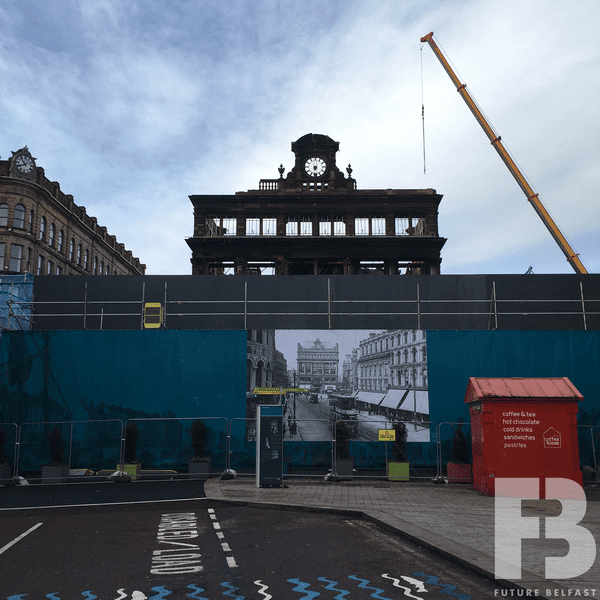 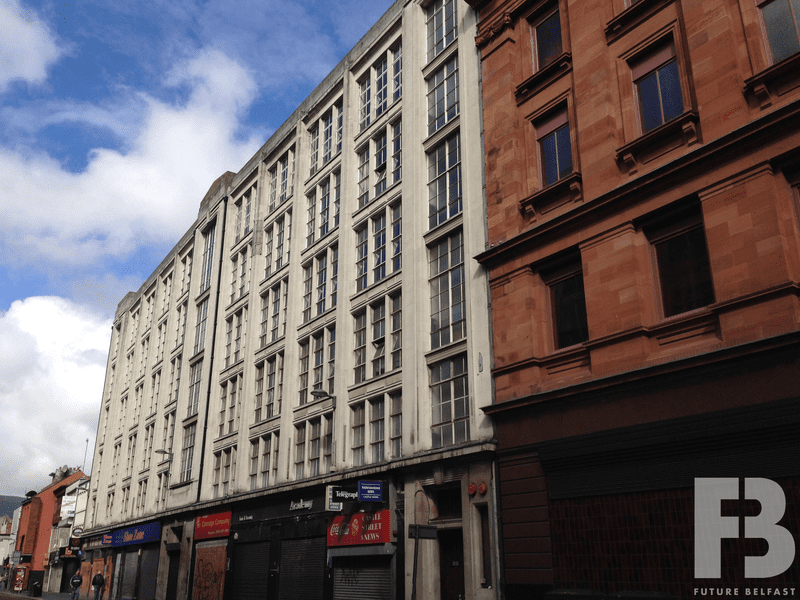 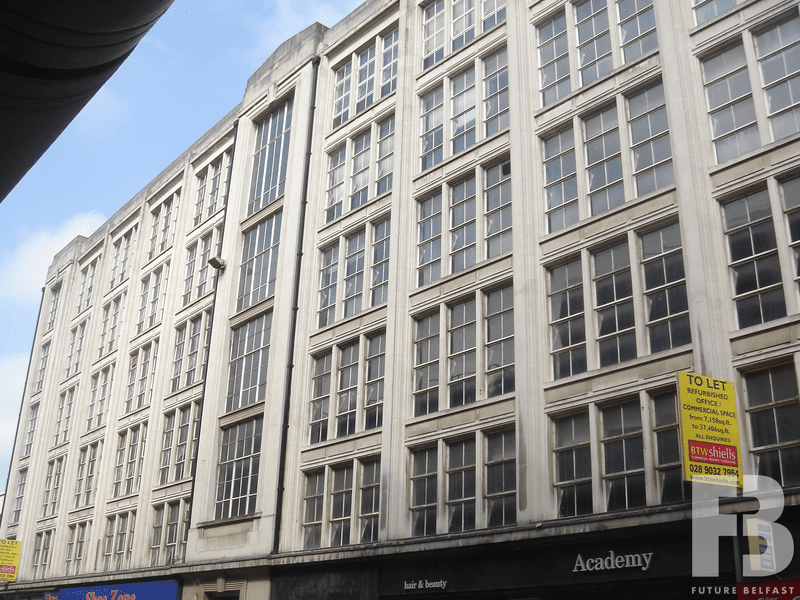 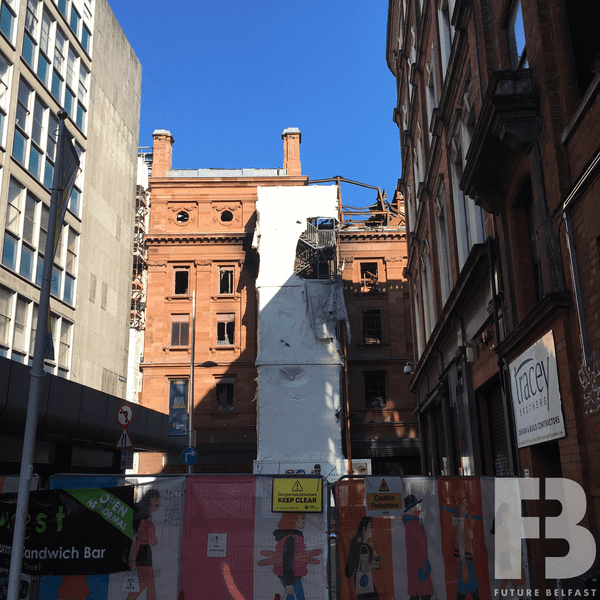 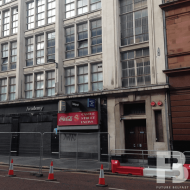 Primark submitted a planning application (Z/2013/0530/F) proposing to refurbish the Bank Buildings and redevelop Commonwealth House at 29-42 Castle Street to create a six-storey extension. 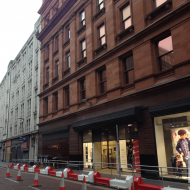 The extension proposed 30,000ft2 of additional retail space; creating an 85,000ft2 Primark shop. 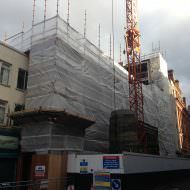 The application was approved in October 2013. 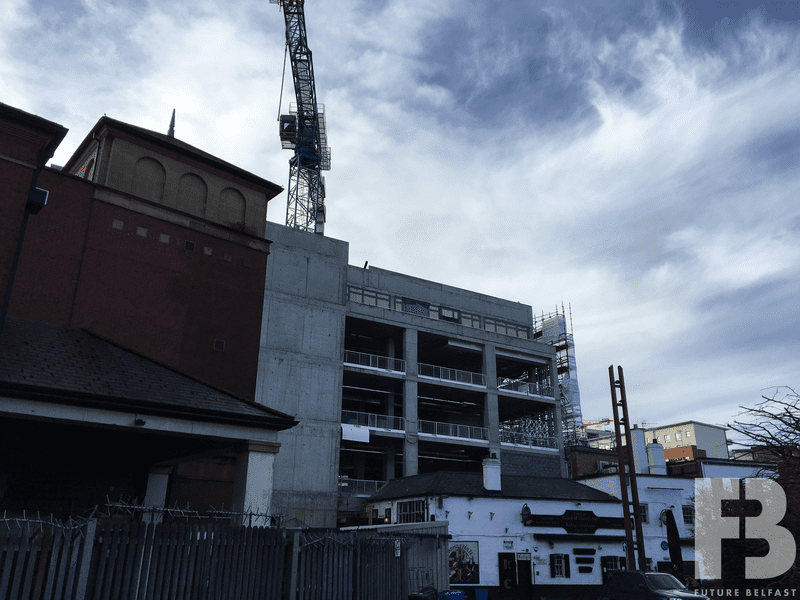 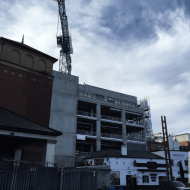 Work commenced to demolish the vacant 1950’s Commonwealth House in September 2016 Commonwealth House was a six storey office building designed by Hobart & Heron Architects and built 1951-1952. 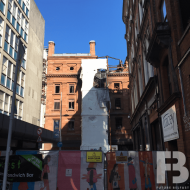 Tusker Demolition had cleared the site of Commonwealth House by April 2017 and Bennett Construction commenced work on the Bank Buildings extension during summer 2017. 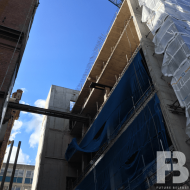 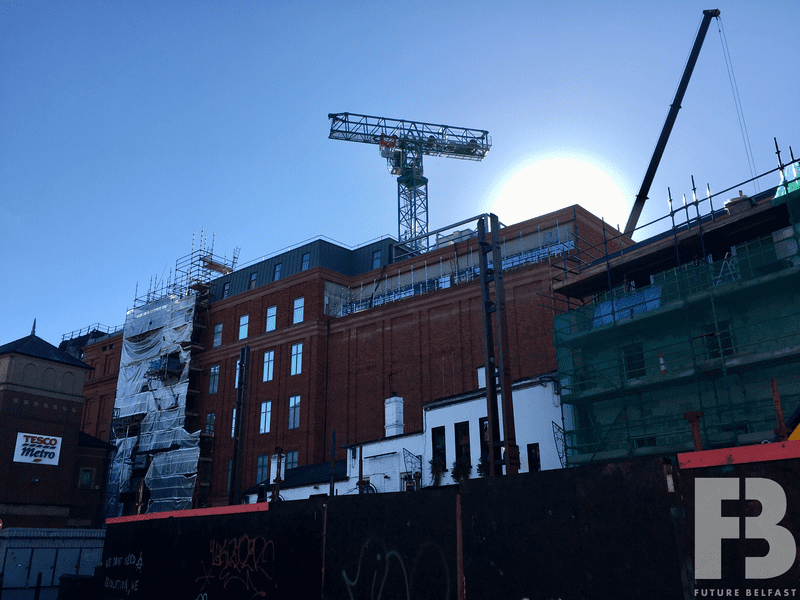 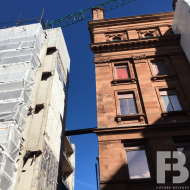 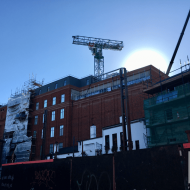 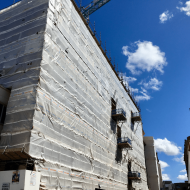 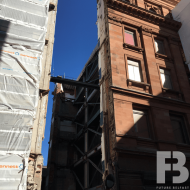 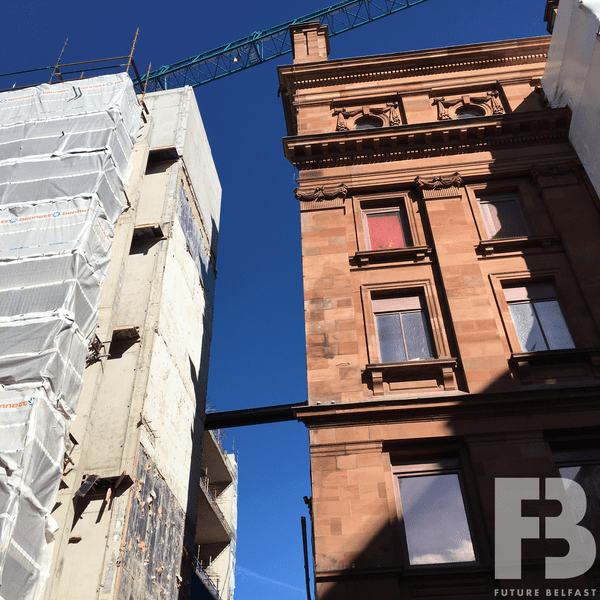 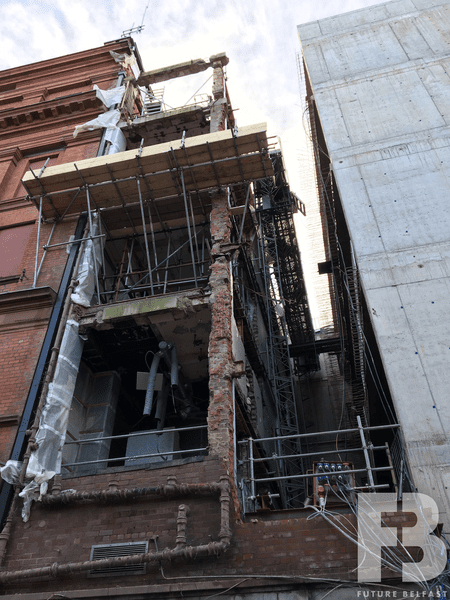 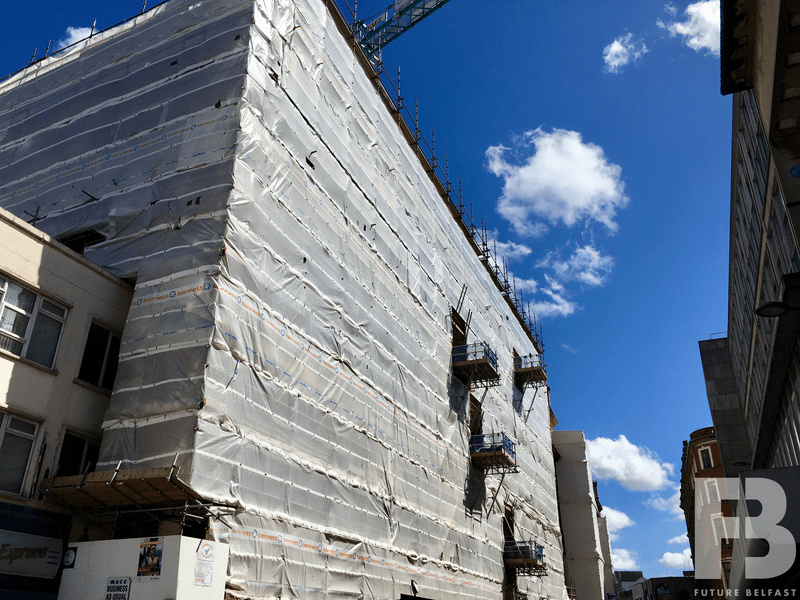 The extension was topped-out during spring 2018 and by August 2018 work was well advanced on the internal fit-out of the extension and refurbishment of the Bank Buildings interior. 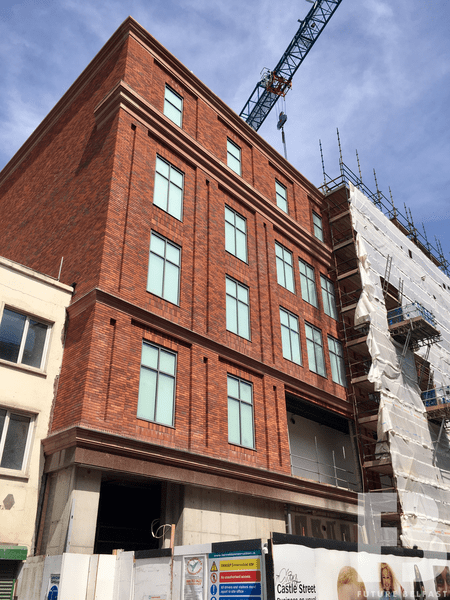 Completion of the full £30m extension and refurbishment project was scheduled for autumn 2018. 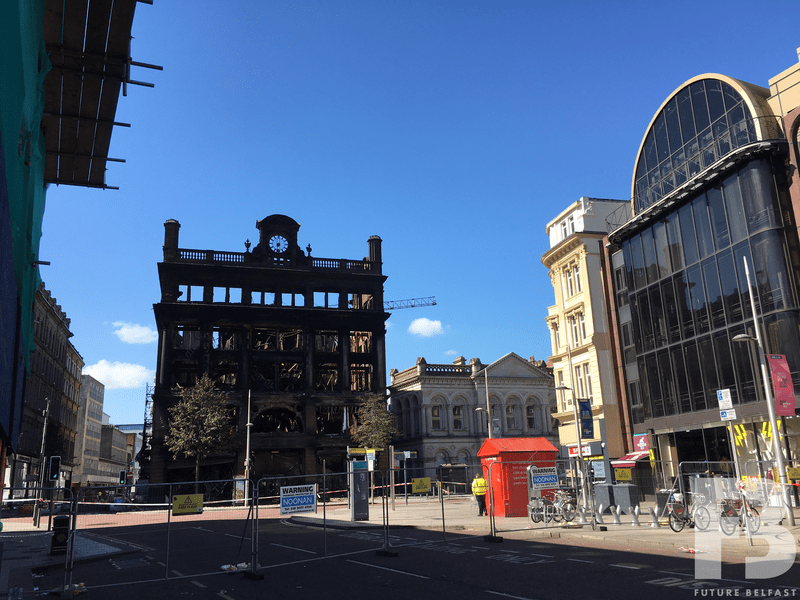 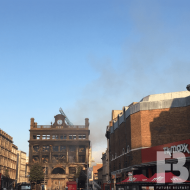 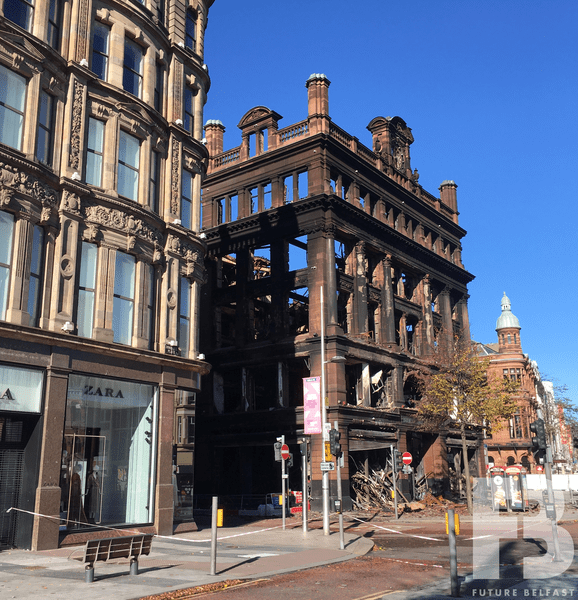 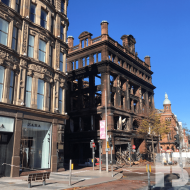 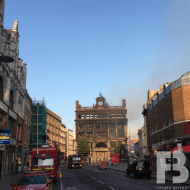 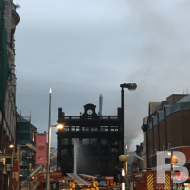 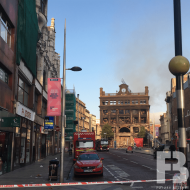 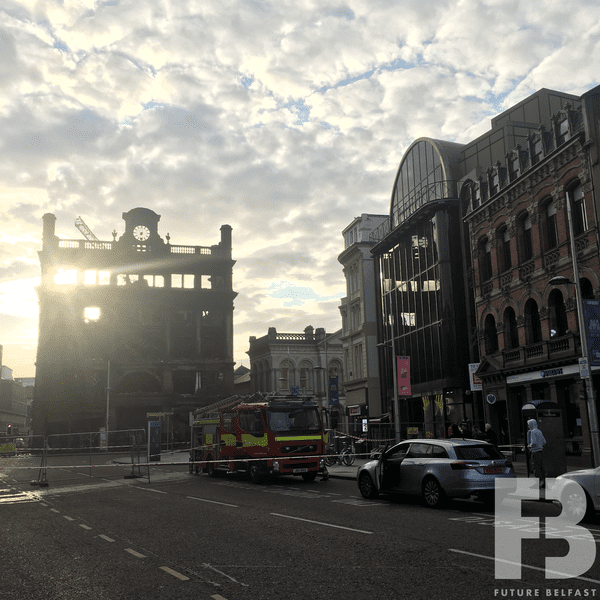 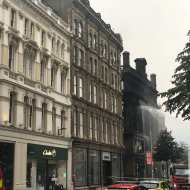 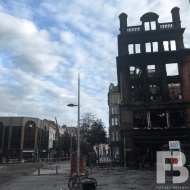 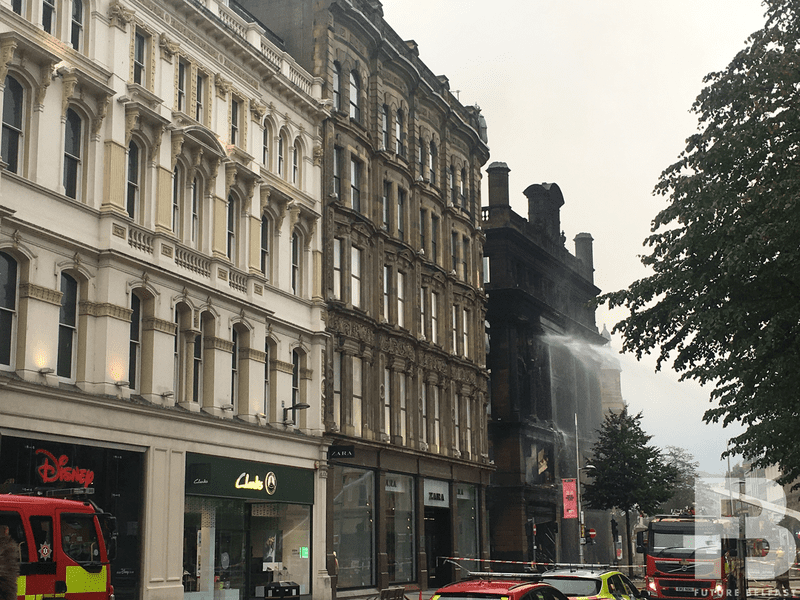 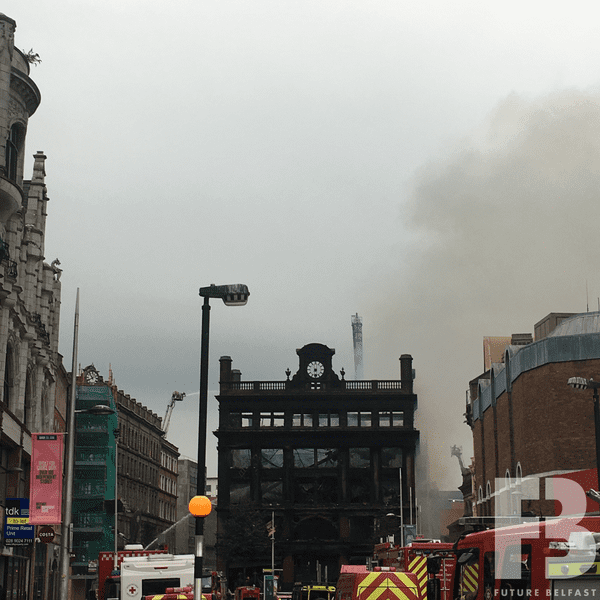 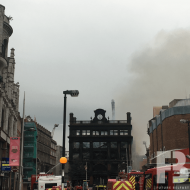 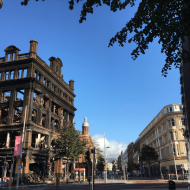 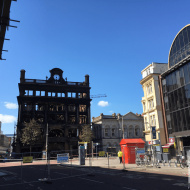 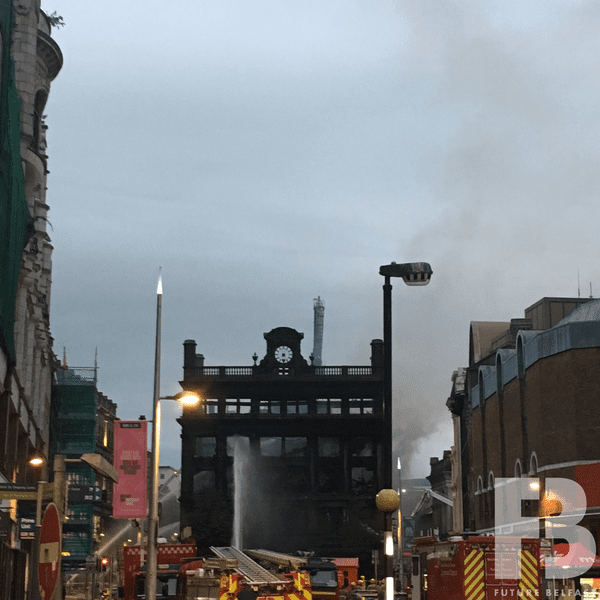 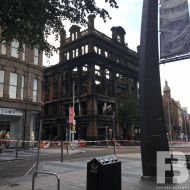 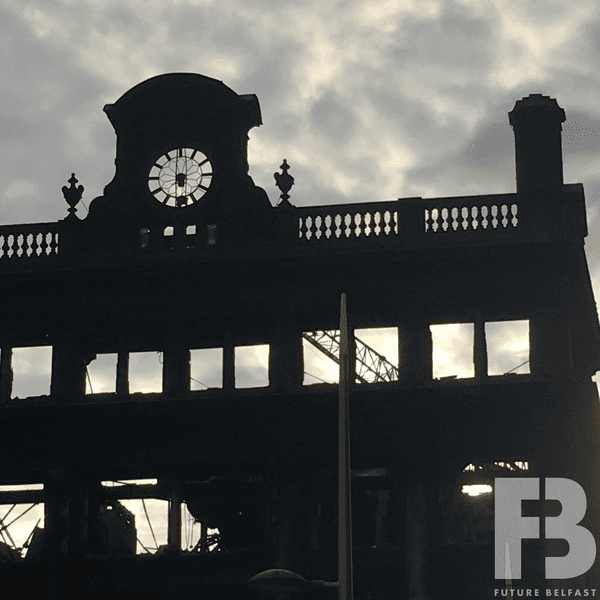 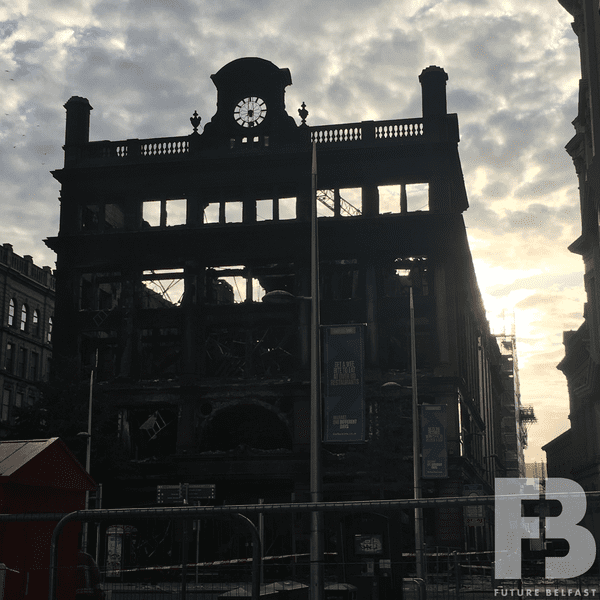 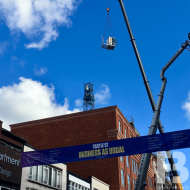 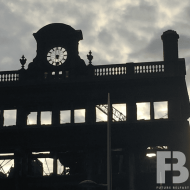 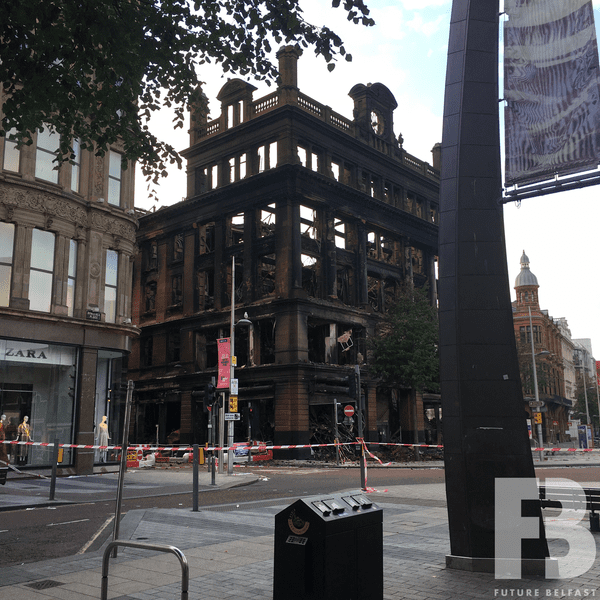 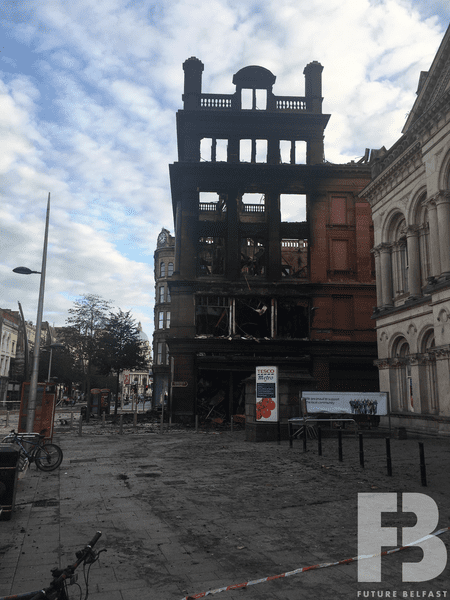 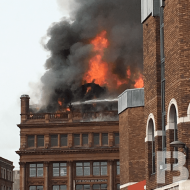 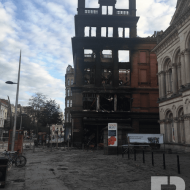 However, on Tuesday 28th August 2018 at approximately 11am a fire began near the roof of the Bank Buildings and customers and staff were safely evacuated from the Primark shop. The fire spread to all floors of the Bank Buildings by 3pm and resulted in the roof and upper floors collapsing. 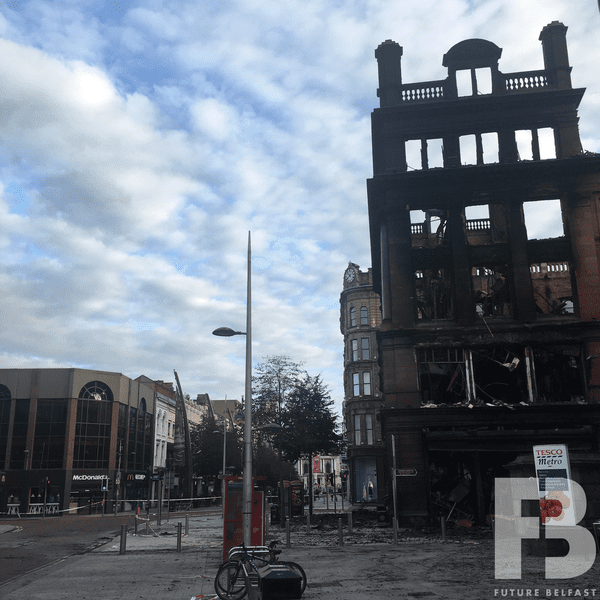 The Fire Service declared the fire extinguished three days later. 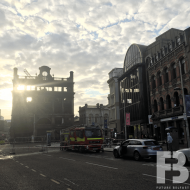 The fire didn’t spread to the nearly completed extension at Castle Street although it was smoke and water damaged. 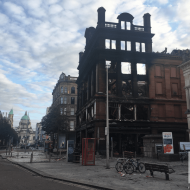 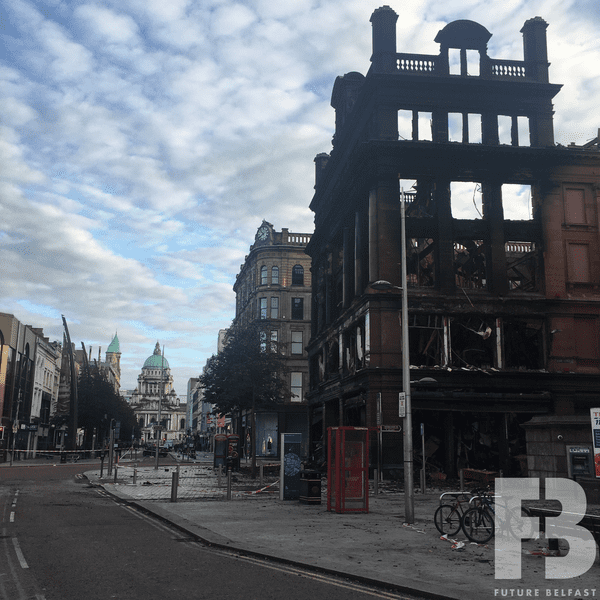 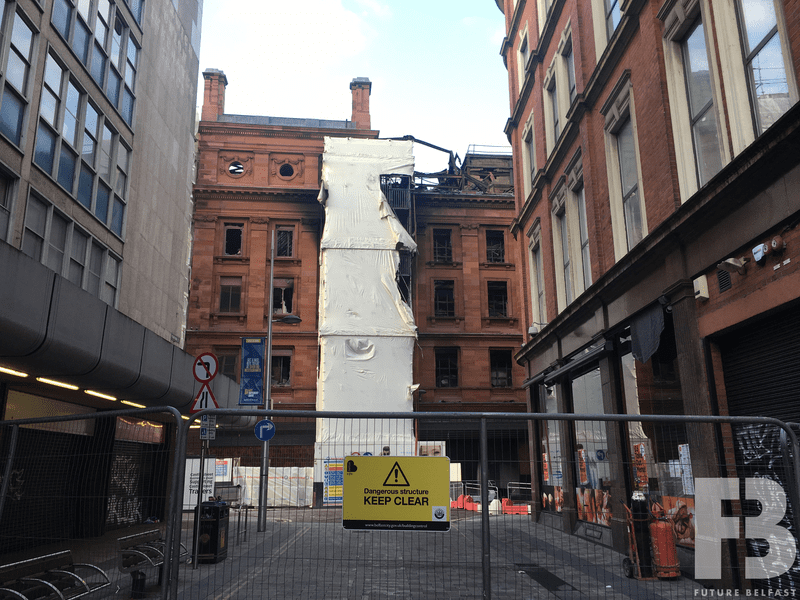 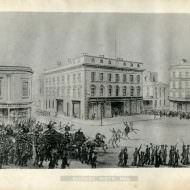 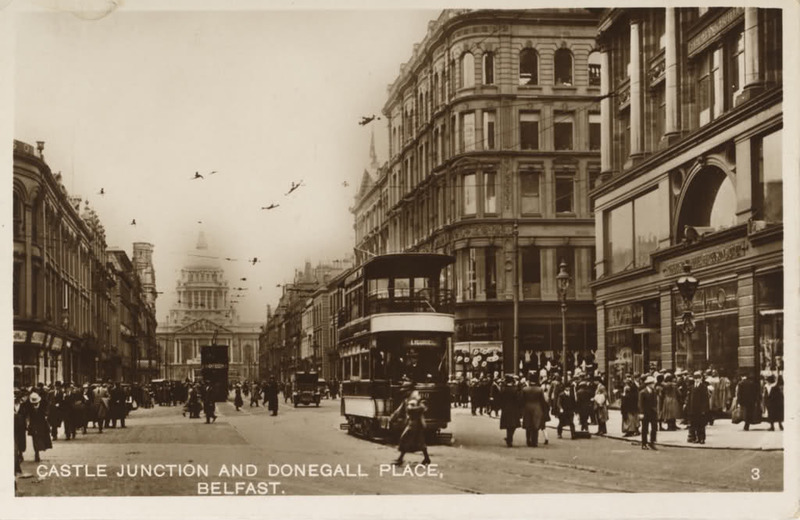 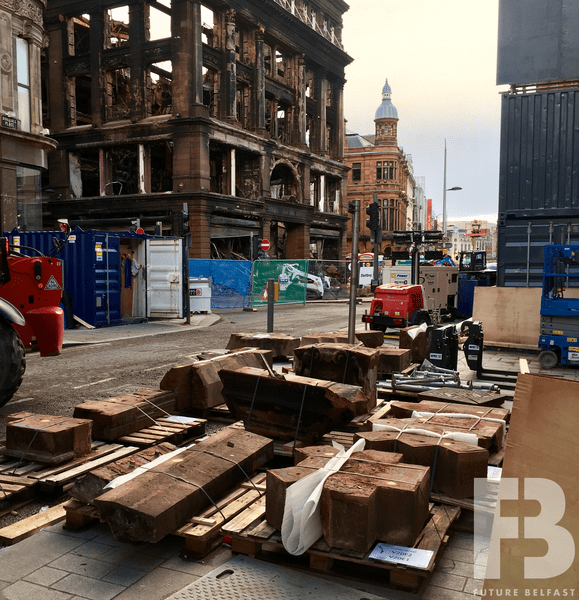 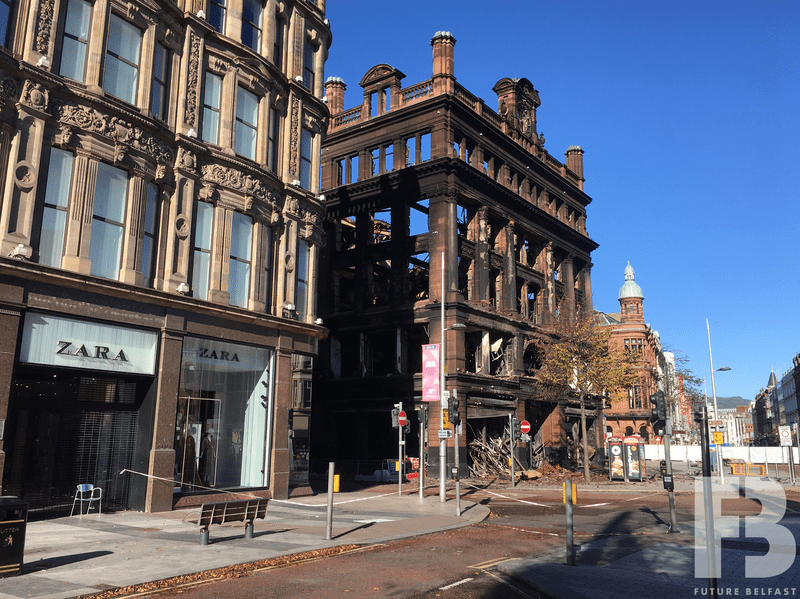 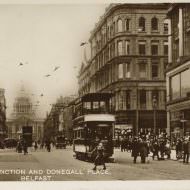 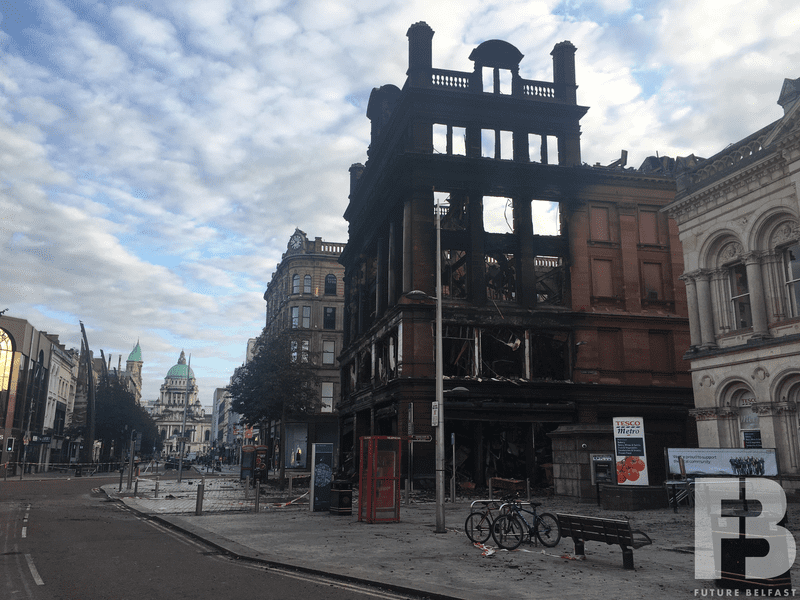 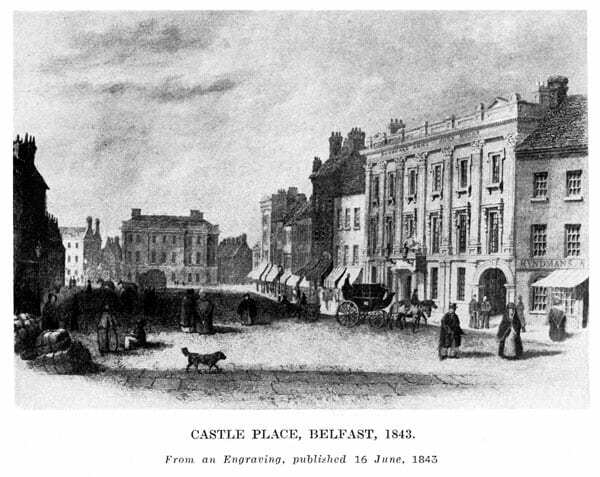 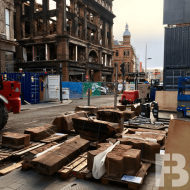 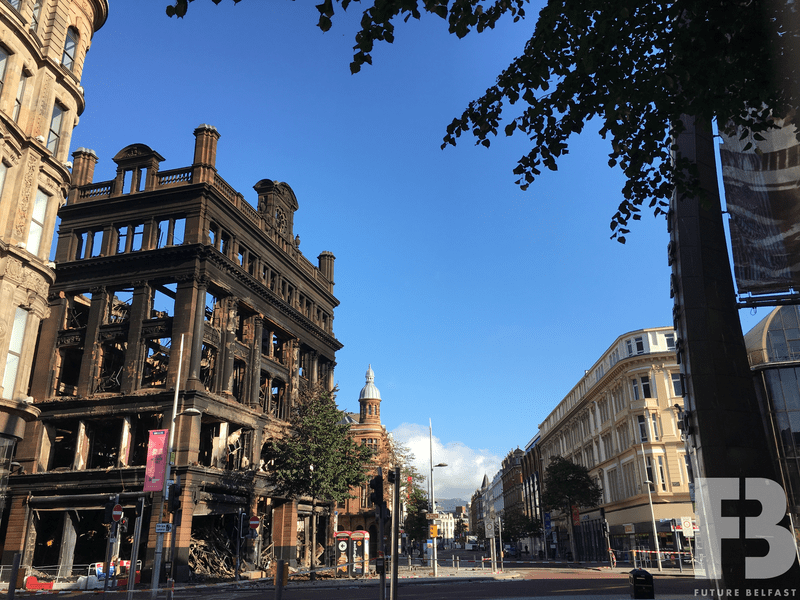 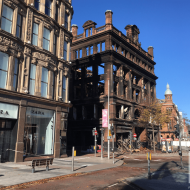 A safety cordon was established around the building extending into Royal Avenue, Castle Place, Donegall Place, Fountain Street and Castle Street. 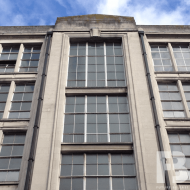 Primark Ltd submitted a listed building consent application (LA04/2018/2393/LBC) on 5th October 2018. 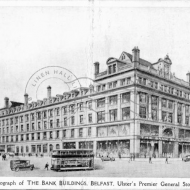 The application proposes “conservation led works to Bank Buildings involving the taking down, recording and assessment for restoration purposes of the building above the fourth floor cornice line to the Bank Street, Castle Street and Castle Place elevations of the building for off-site storage”. 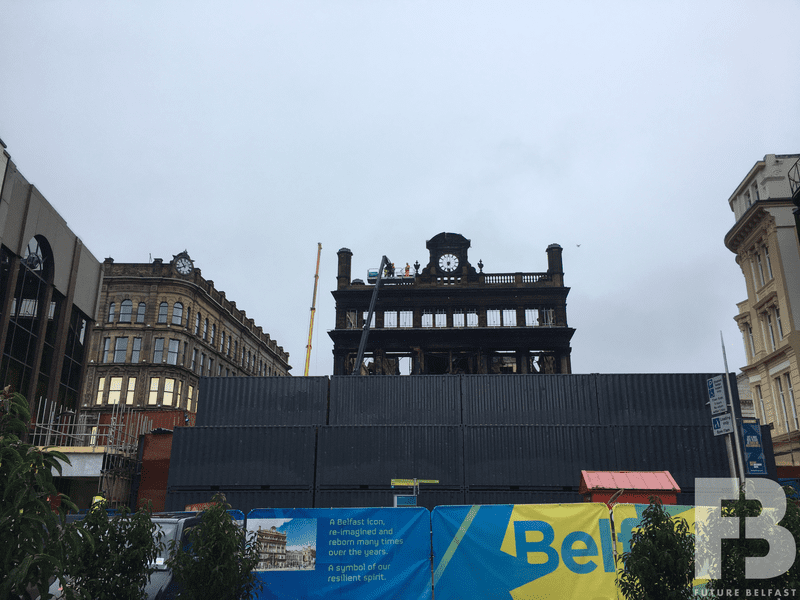 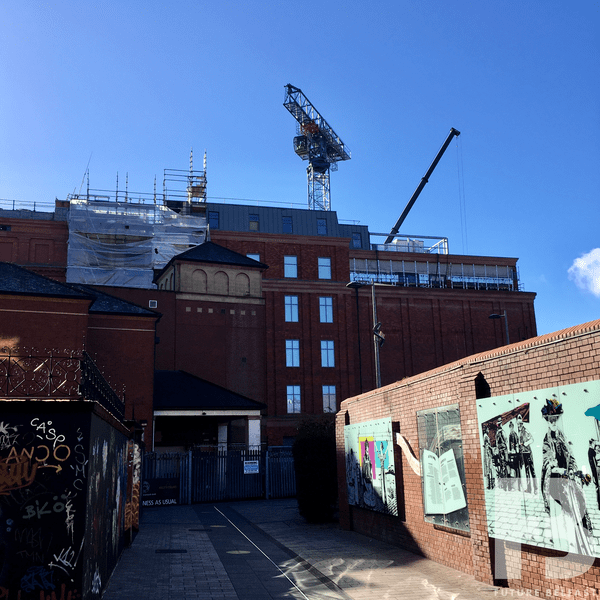 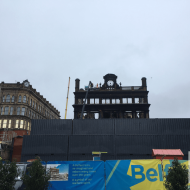 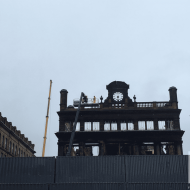 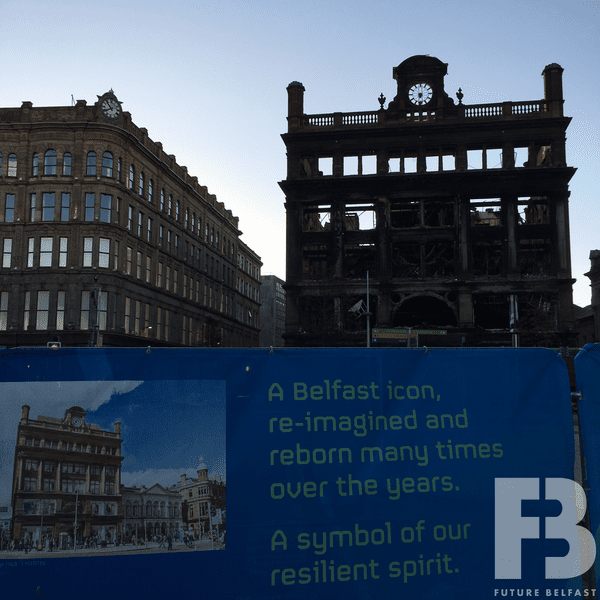 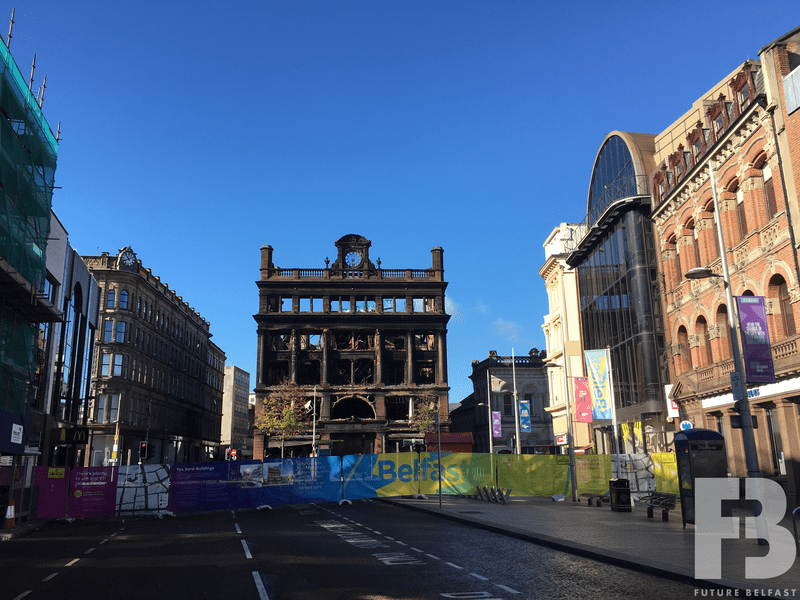 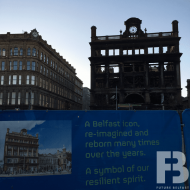 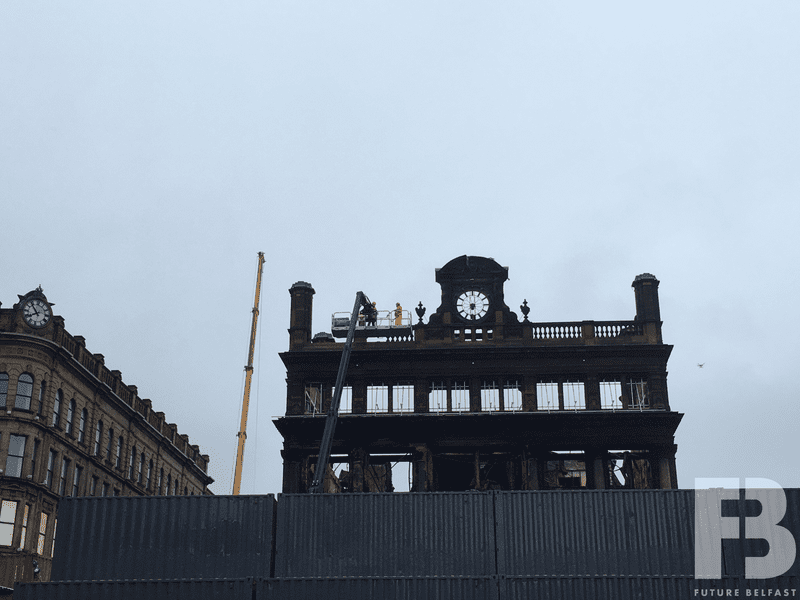 The Outline Conservation Statement report (Hall Black Douglas, Oct 2018) details a “complete loss of the … roof structure … [and] … severe loss of original interior structure… however, following assessment … the existing elevational perimeter has remained in-situ, demonstrating resilience through recent high winds … and a potential opportunity exists to carefully stabilise the existing facades. 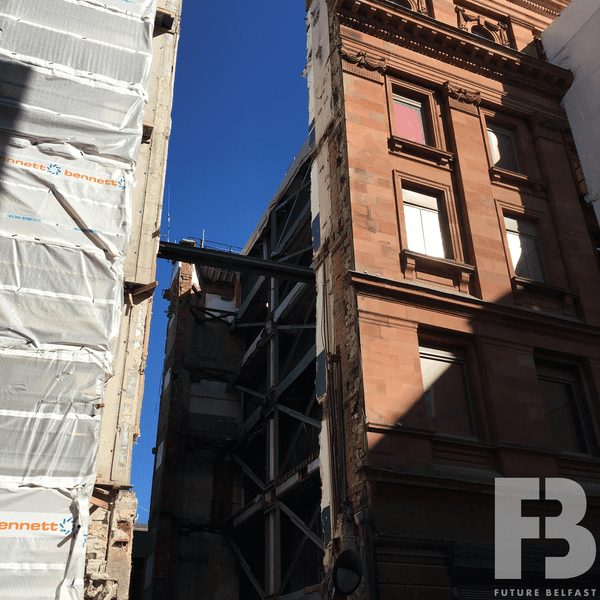 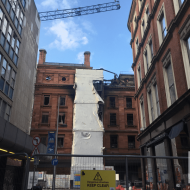 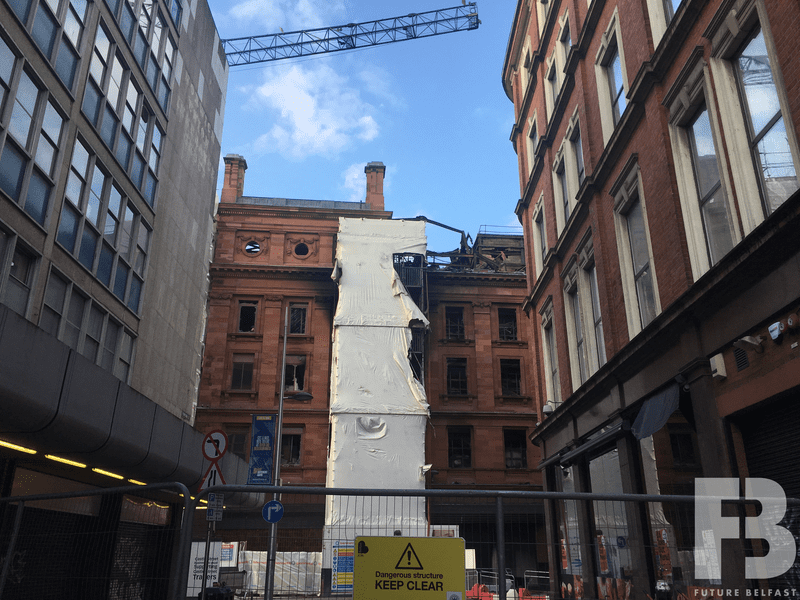 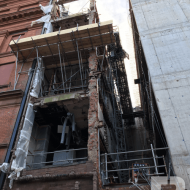 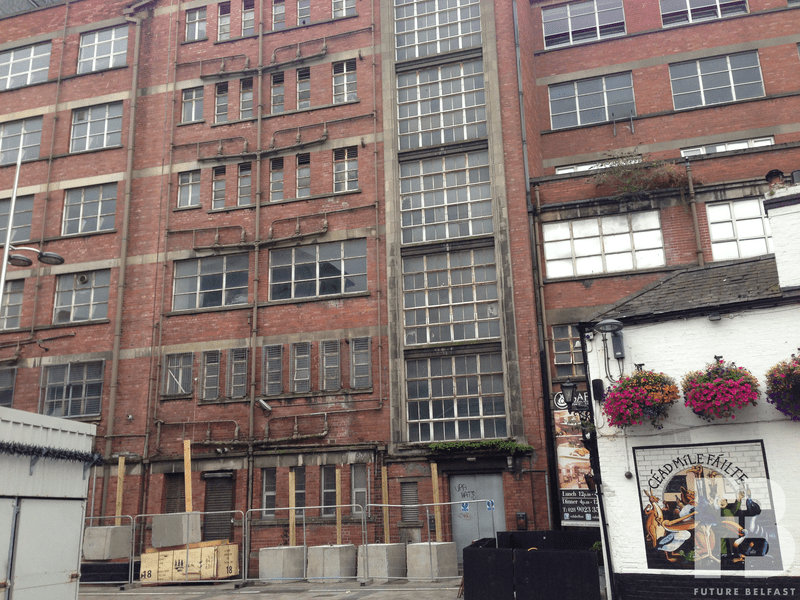 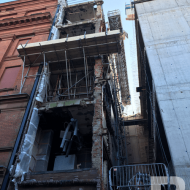 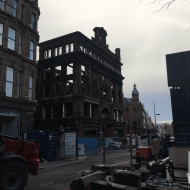 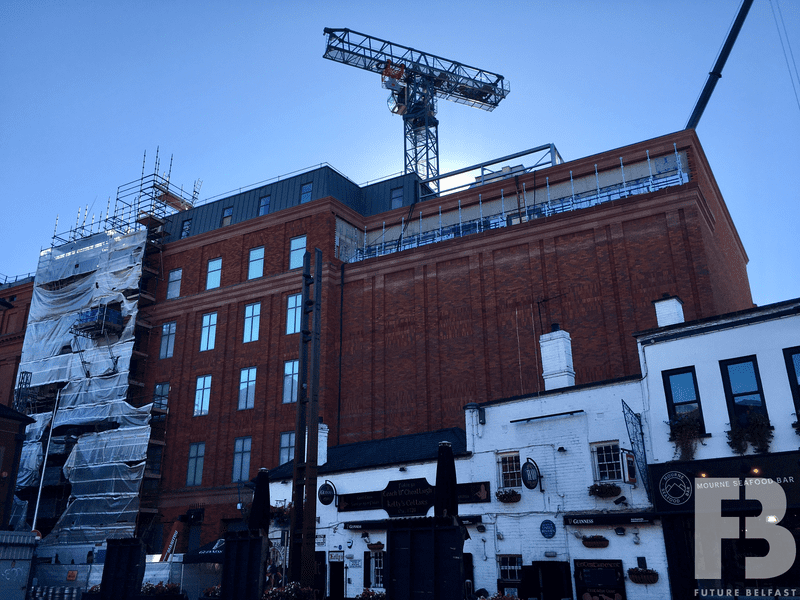 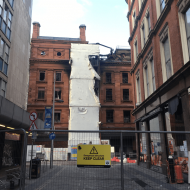 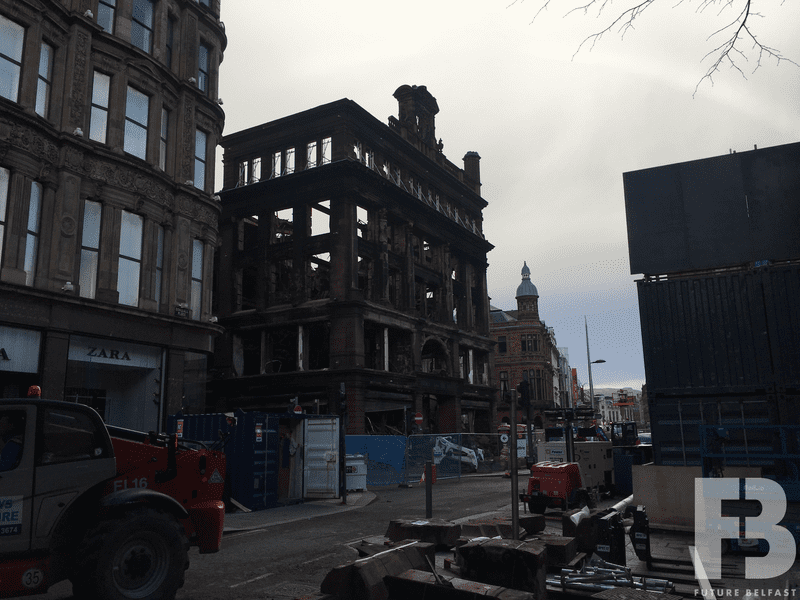 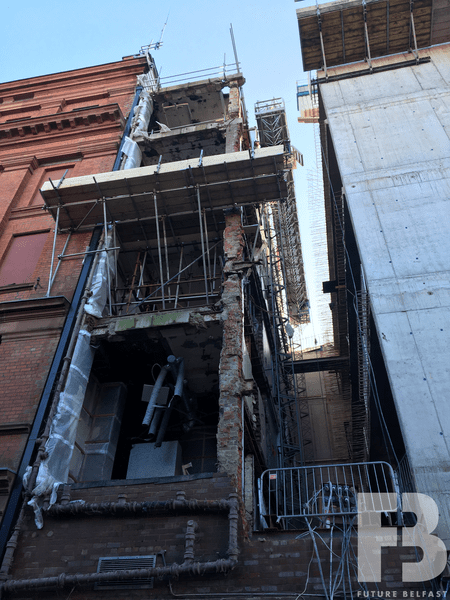 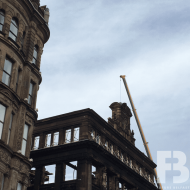 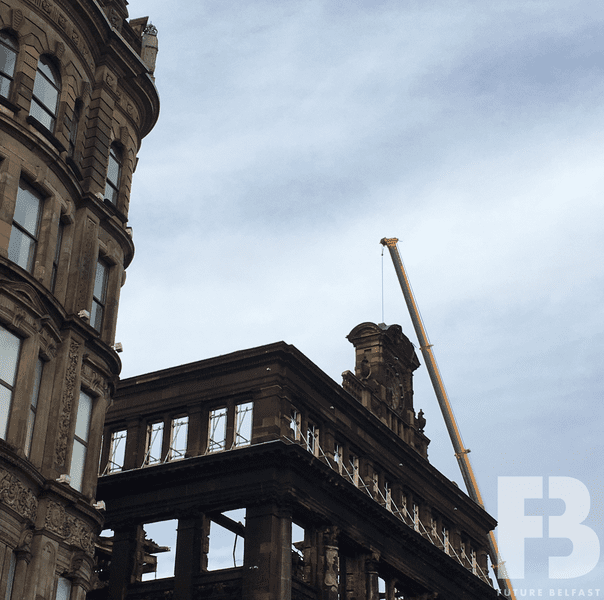 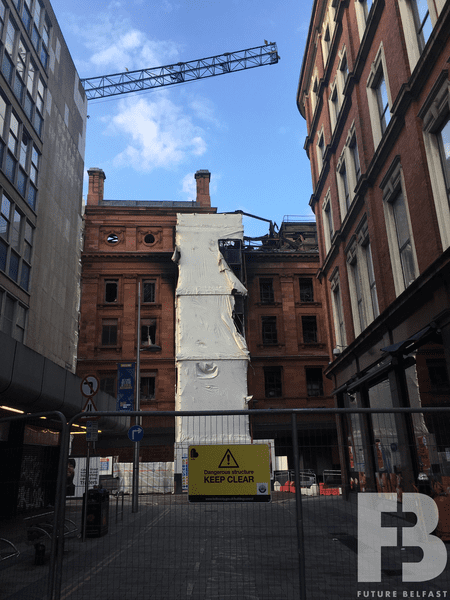 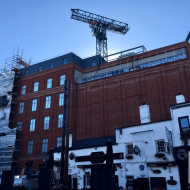 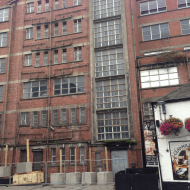 Following stabilisation, further opportunity exists to restore and re-construct the building with a minimal loss of historic fabric as is practically possible to retain historic authenticity. 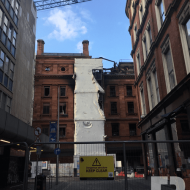 Surviving high-quality architectural record drawings support our understanding of the physical fabric … [and] … provides a sound base on which to make a range of conservation decisions, including detailed replications of damaged stone elements and the re-construction of the roof structure”. 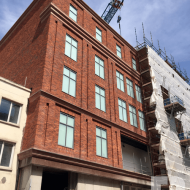 The listed building consent application was approved on 26th October 2018. 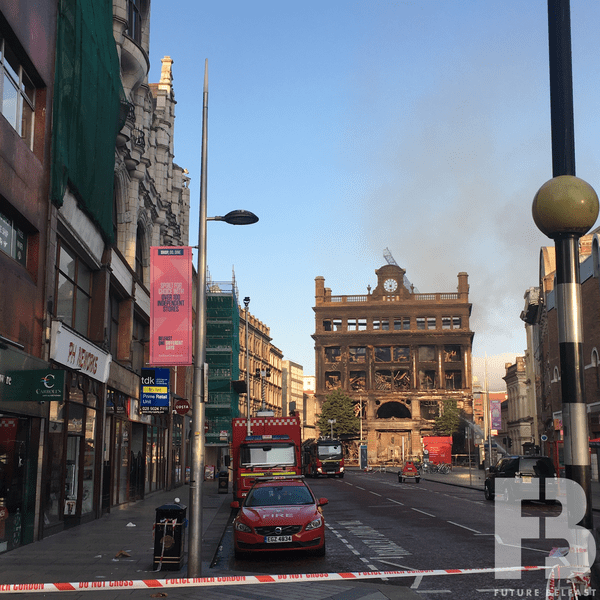 Keltbray are currently working to remove the upper levels of the building. 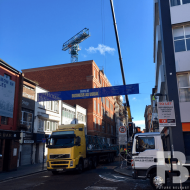 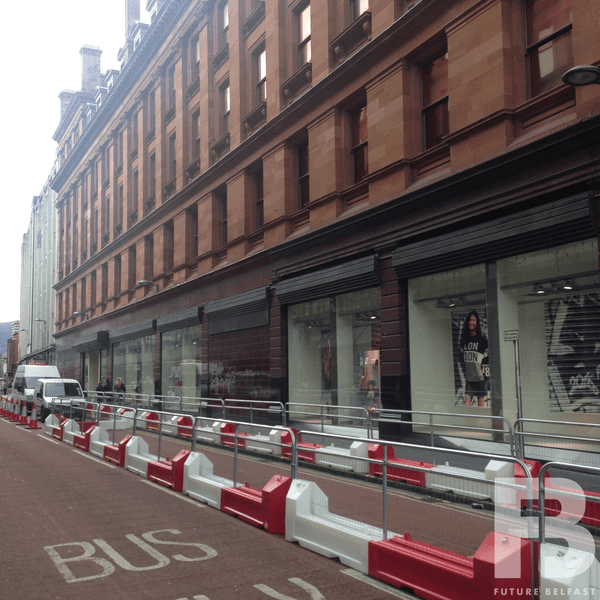 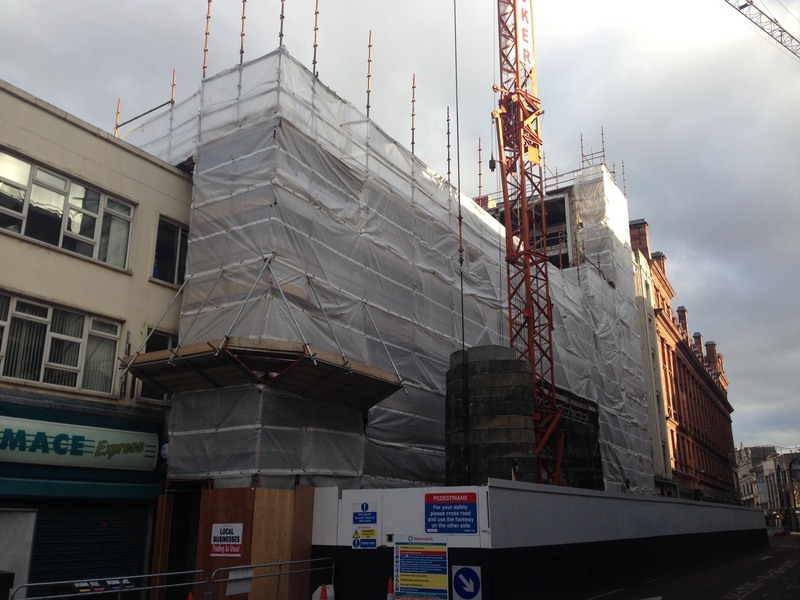 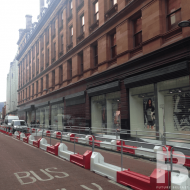 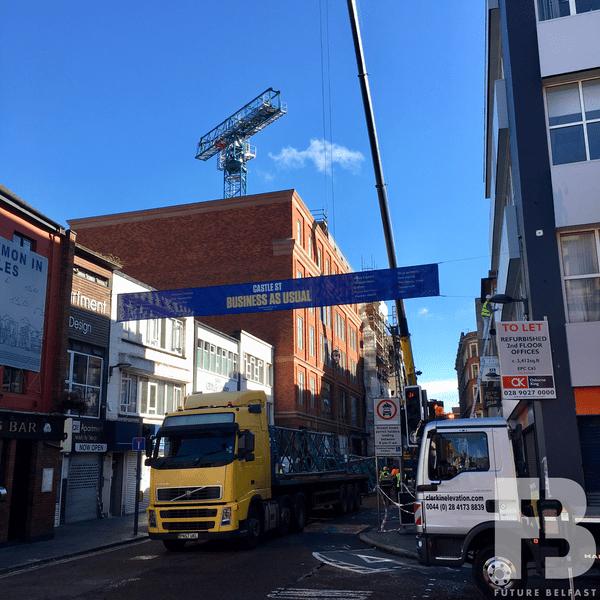 A temporary protected pedestrian walkway opened on 3rd December 2018 to connect Donegall Place and Royal Avenue. 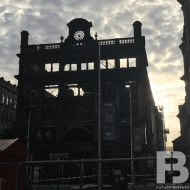 Primark reopened within the Commonwealth House extension at Castle Street on 8th December 2018.